This is one of easiest exam from all architect exam. I believe it should be easy for everyone who has good knowledge about salesforce security model. Salesforce Security is fundamentals of Salesforce platform. Everyone who starts learning salesforce always learns Salesforce security. Describe the usage and implementation of sharing rules, both criteria based and ownership based. Architect the appropriate object relationships given a scenario. Articulate how Org-Wide defaults may impact a security model. 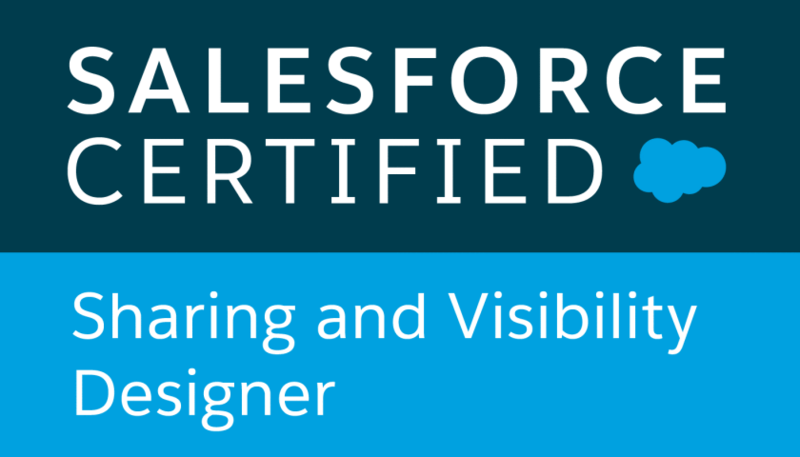 Articulate how different Salesforce license types may impact a security & sharing model. Describe how the Role Hierarchy may impact the decisions made when designing a security model. Describe how Profile configuration may impact a security and sharing model. Describe the fundamental concepts around role hierarchy, apex sharing etc. to different levels of audience. Articulate different security capabilities with respect to record visibility, CRUD based security, record level access and the differences between the three. Describe the limits of declarative capabilities and when a more custom security solution is required with associated risks and limitations. Articulate what Apex Sharing is and when it should be used. Articulate the security implications of using Dashboards, Apex run as an Administrator, VisualForce pages or other “run in context” tools to expose aggregate data. Identify and mitigate performance and scalability concerns for a recommended solution. Develop a test process to validate a security model. Articulate use cases for complex sharing such as territory management or account teams should be used. Designing and implement a tokenization strategy. Identifying off platform data security considerations. Determining non-core platform data security considerations (E.g. AppExchange) and other Salesforce products (E.g. Heroku). Describing how specific security constructs work (E.g. SSL, RSA). Identifying common use-cases for requirements gathering. Determining performance issues and scalability of large data sets with sharing. Determining what types of sharing are impacted in an LDV scenario. Determining security requirements around certain kinds of data: PCI, PII, HIPPA, etc. Articulating security concepts such as Least Privilege, Defense in Depth, and Failure Securely. Implementing project and development lifecycle methodologies. Defining identity management and SSO architecture.